Just a few years ago, usage-based insurance was a new innovation. Now it’s “poised for rapid growth” with “approximately 70 percent of all auto insurance carriers” expected to use it by 2020, according to NAIC. Add the rise in connected cars, and you’ve got a recipe for industry-shaking change. We’ve come a long way from the days when Progressive rolled out their very first UBI offering, and over the next few years, we can expect to go a lot further, too. Population is growing both globally and nationally, especially in urban areas. With density increasing, if everyone were to drive their own car, congestion on the roads would get intolerable fast. It’s already pretty bad. “Five of the top ten most gridlocked cities in the world are in the United States,” said Mobility Lab. This increase in population bears an impact on the auto industry. According to a recent article at VentureBeat, density “puts downward pressure on the number of cars demanded.” Of course, people still need to get around, but they’re relying more and more on ride sharing, public transit systems, and other means of transportation that don’t involve parking your very own hunk of metal in your very own driveway. The result? A massive shift for the auto industry. Remember when an automaker’s business model used to hinge on selling individual cars to individual buyers? As demand for the personal automobile gets squashed, automakers will need another revenue stream to replace it, and fast. Luckily for them, telematics data is a promising new source of revenue. According to Statista, the United States can expect to see 116 million connected cars on the roads by 2025. 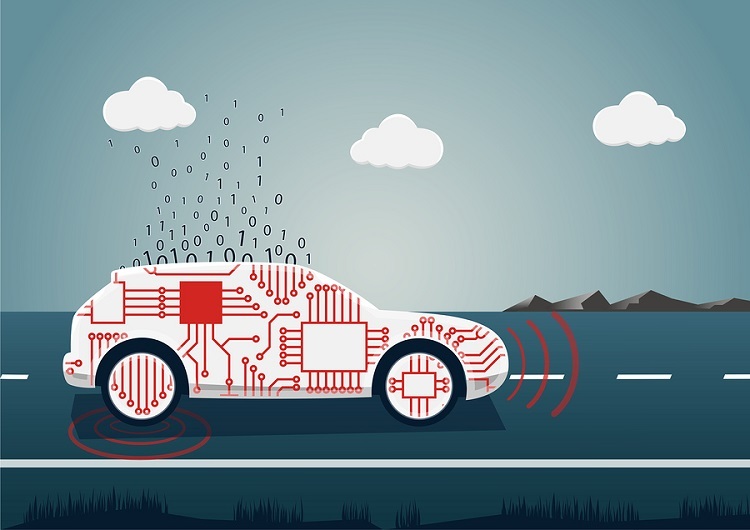 These cars will “generate and consume roughly 40 terabytes of data for every eight hours of driving,” Network World reported. An average day of driving translates to 4,000 GB of data – a massive amount. Just compare that to the average person’s daily use of chat, video and Internet, which will add up to a mere 1.5 GB by 2020. As it turns out, all that data offers a lot of promise to a lot of industries. Many industries have an interest in using or controlling telematics data. Automakers that sell connected cars can use it to refine the intelligence of their self-driving systems; insurers that offer usage-based insurance rely on it, too. Then there are telecommunications firms, lawmakers, and retailers. If automakers leverage their data to build bridges across industries, they can form profitable relationships that could “unlock $1.5 trillion in future revenue” – seismic business model shifts notwithstanding. Sounds like a fruitful landscape for some profitable insurer/automaker partnerships. If you need a modern policy administration system that creates a better foundation for innovation, s look no further than Silvervine. Request a Demo to learn more or download our Ultimate Buying Guide Checklist.